OXFORD, Miss. 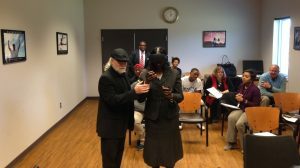 – The McLean Institute for Public Service and Community Engagement at the University of Mississippi has partnered with the Newton Municipal School District to introduce virtual reality education in the state. “For 33 years, it has been my privilege to share life with some amazing students, teachers, administrators, parents and citizens in the Newton Municipal School District,” said Cuchens, minister of music and senior adults pastor at the town’s First Baptist Church. “As a concerned citizen, it is my personal desire to do my part in helping students reach their maximum potential and fulfill their mission in life.